Complex Sleep Apnea can occur when a person's breathing does not improve despite exposure to CPAP therapy. 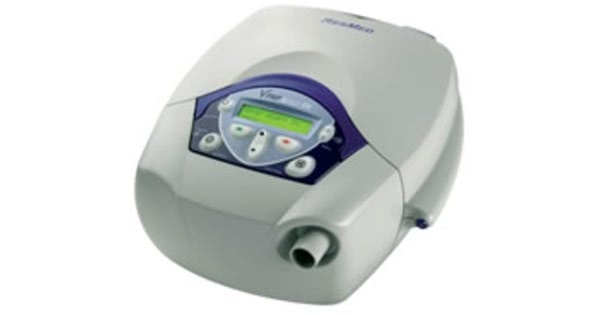 The ResMed VPAP Adapt SV(Adaptive Servo Ventilation) delivers optimal therapy for complicated sleep-disordered breathing cases like Central Sleep Apnea and Cheyne-Stokes respiration. The VPAP Adapt SV provides therapy that augments breathing during apnic periods and rapidly removes support when spontaneous breathing resumes. All this helps stabilize breathing and normalize oxygen levels. The VPAP Adapt SV uses an algorithm to assure that each breath is properly ventilated. The algorithm monitors three key factors to ensure synchronization between CPAP pressure support and the patient's breathing. The Servo Ventilation algorithm continuously measures these factors and calculates a target ventilation. The target is 90% of the current average breath per minute. 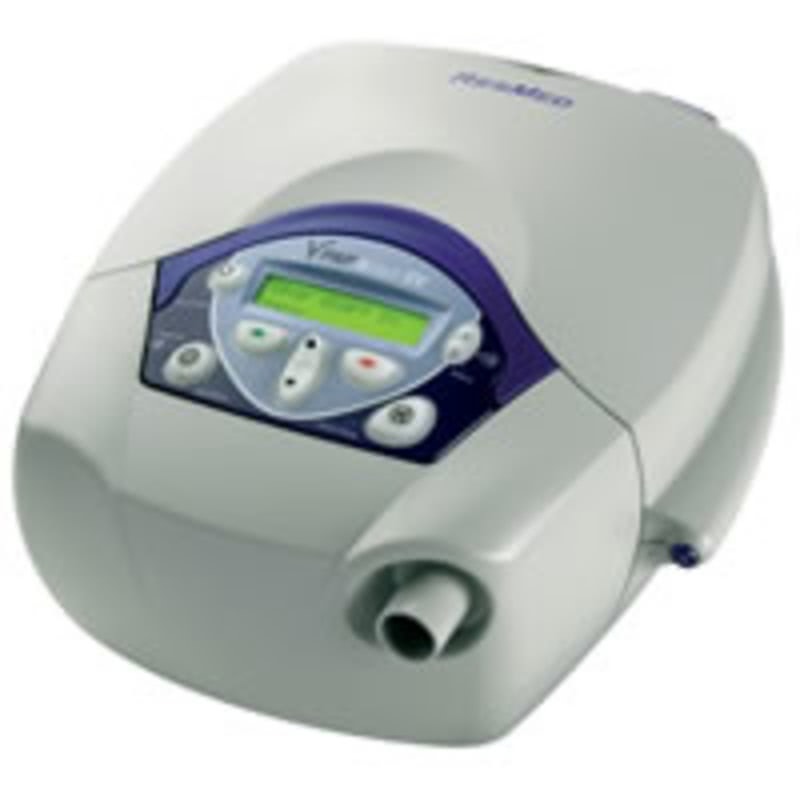 Once irregular breathing occurs, the machine rapidly increases pressure in response to hypo-ventilation, then pressure support decreases when normal breathing resumes. The algorithm helps generate a smooth pressure waveform, which is similar to normal breathing, ensuring that the rapid response to an apnea doesn't wake the user. RERAs differ from a hypopnea or snoring event in that a RERA shows increased respiratory effort with each breath, culminating in a shift in brain wave activity and not necessarily a result of obstruction. Periodic breathing conditions such as Cheyne-Stokes respiration (CSR) and Central Apneas are advanced forms of Central Apnea and are identifiably different from Obstructed Apnea or snoring events. Complex Sleep Apnea is a form of Central Apnea that occurs as a result of CPAP therapy. In treating such users, care must be taken not to over or under-ventilate while still allowing for natural pauses in breathing. The advanced backup rate for the VPAP Adapt SV accounts for the user's spontaneous breathing. This system will automatically calculate the backup rate based on a natural respiratory rate. High maximum mask pressure alarm Stops air delivery at 30 cm H2O >700 msec. High mean mask pressure alarm Stops air delivery when mean mask pressure exceeds 22 cm H2O (averaged over approx 1 minute). Low mask pressure alarm Mask pressure is less than 3 cm H2O for longer than 5 seconds while the patient is using the VPAP Adapt SV. Insufficient pressure support alarm Is triggered if for 3 breaths in a row the maximum mask pressure achieved at inspiratory to expiratory transition is either <87.5% of the absolute mask pressure targeted at that point, or < absolute mask pressure targeted minus 1 cm H2O, whichever is the lower. High leak alarm Leak exceeds 30 L/min for more than 20 seconds.